If you’ve heard the State Farm commercial, Cheryl wants a new “she shed” after her retreat catches fire. Think the opposite of a man cave filled with sports décor and hobby tools. 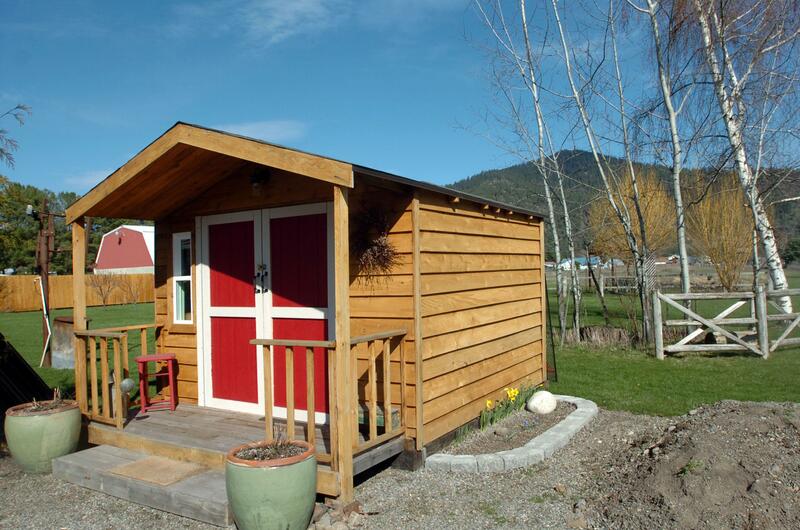 With this trend, more women are converting small garden sheds or barns into an escape pod. Some become reading nooks filled with a comfy chair and pillows. Others convert into small yoga studios or hobby centers. Do you have a she shed conversion story? We’d like to hear it. In 100 words or fewer, send the story of your she shed. A photograph would be great, too. Email your entry by Feb. 10 to features writer Treva Lind at treval@spokesman.com, or mail to P.O, Box 2160, Spokane, WA 99210.